Being one of the new addition to the Genomics team, the idea of eating out with the whole team was very welcoming, especially on a Friday evening. 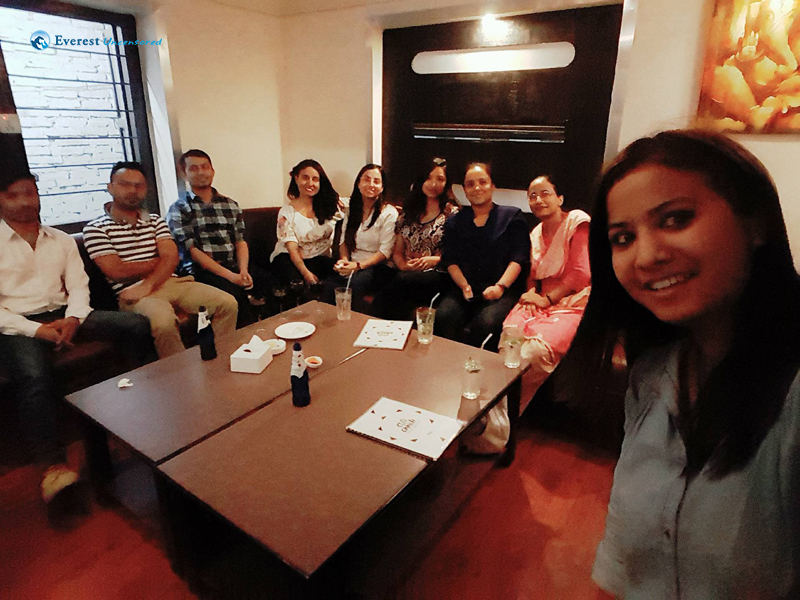 With everyone excited we headed out to Cafe Chheli, Jhamsikhel, to try out their Spicy Cold Chicken Sesame, recommended by Coca-Cola HUNGER HUNT and fried ice-cream recommended by our very own Nitish. I was very excited for the day as it was my first TEAM outing. The van departed from deerwalk at around 1:30 PM and I was already waiting for the van to arrive at New Baneswor. Our destination for the day was KhusiKhusi resort which is located at Satungal. We reached Kalanki, picking up some team members on the way, where we had to wait for almost an hour in the traffic. But we managed to enjoy the jam too as we already started playing the Dancing numbers and dancing all along. The main way to the place was not in proper condition but somehow we reached the resort asking the people around, at 3:30 PM. They say, we need to break regular habit to be more productive and energized for work. 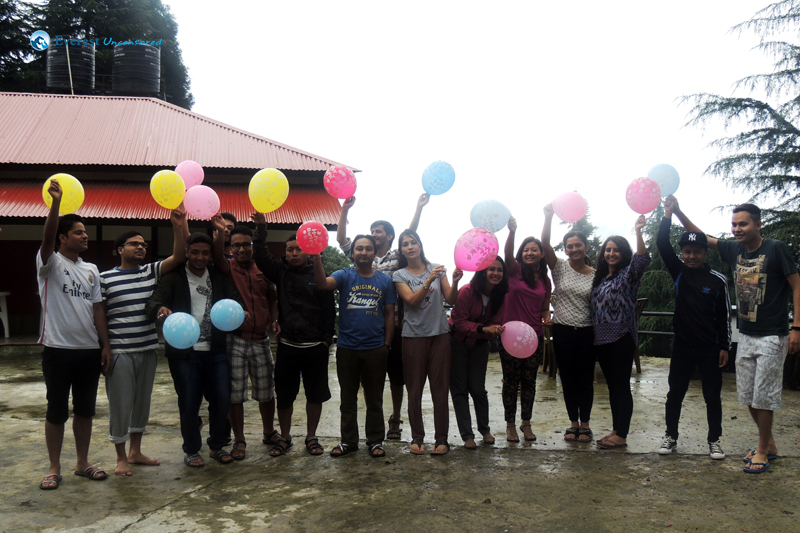 Therefore, Data transformers decided to take a break from data and logic and just have fun along with building bond between team members. The outing was set for Nagarkot. 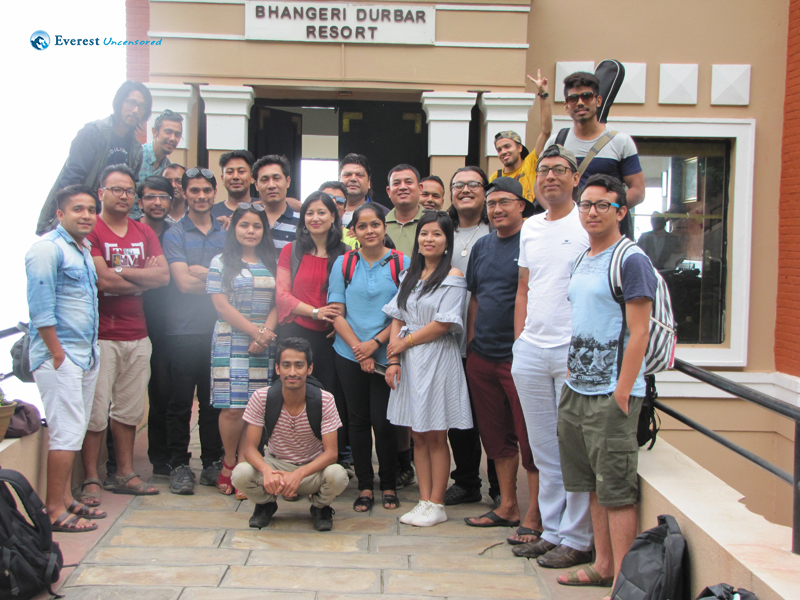 Bhangeri Darbar Resort was an excellent choice as it allowed view of beautiful Nagarkot. 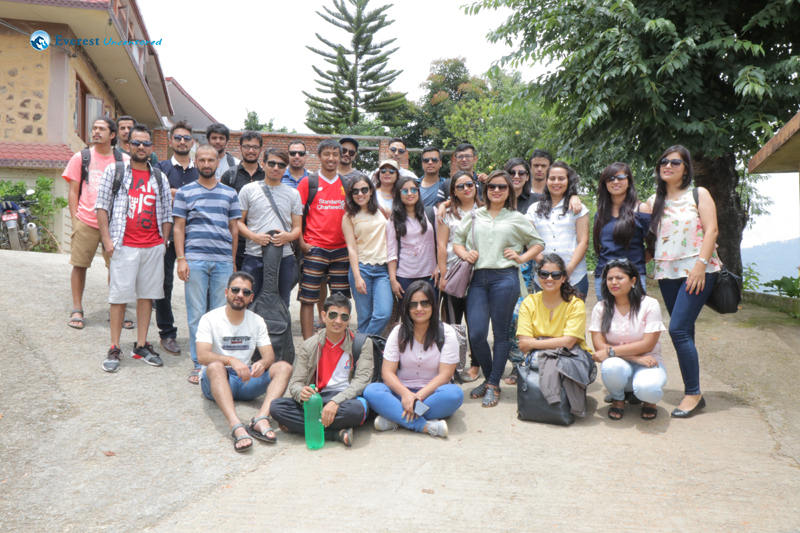 On 22nd July, Saturday we started our journey from Deerwalk complex at around 12 pm. 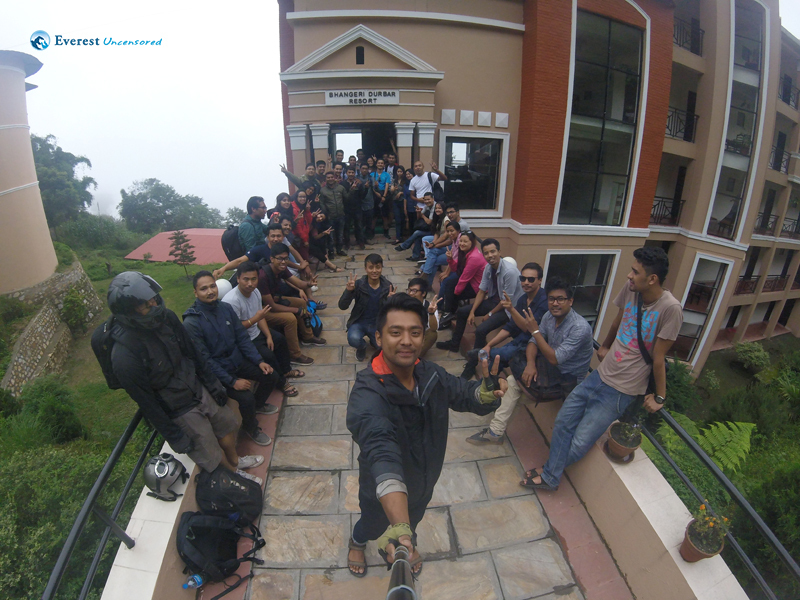 A cloudy monsoon day and we were off to the western flanks of Shivapuri hills for semi annual team outing. We took the tokha road out of the ring road and headed north past Grande Hospital en route to Shivapuri Village Resort. The road was muddy and the van was having a hard time going up the slopes so we left the van at a place called Phulbari and started walking. So, we were much excited to get to Motel Du Muglin from a few weeks of plan. But unfortunately due to the landslides and difficult circumstances in the route to Muglin, we had to cancel our trip to Muglin, and opted this destination instead, Bhangeri Resort. 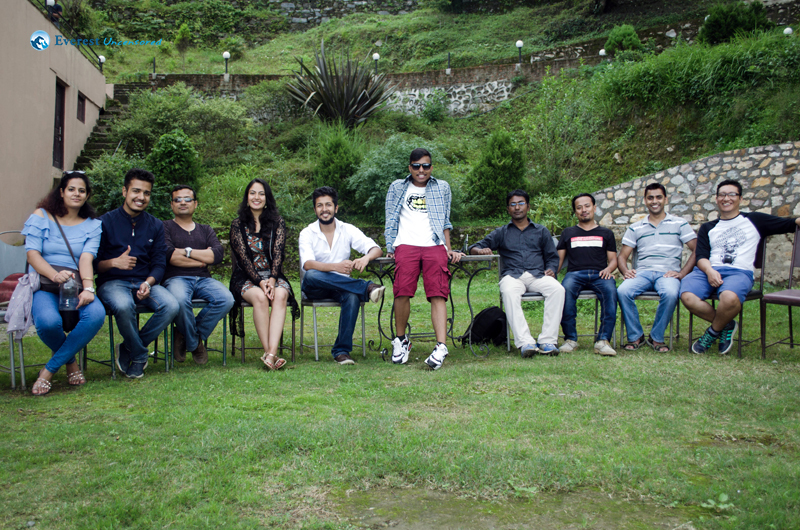 It was my third outing since I joined Deerwalk and weirdly enough, all of them have ended here in Nagarkot. It was my first outing with my squad and the excitement was abiding. I am an outgoing person and I love to travel, I believe travelling is the thing that can make you forget all life’s little worries. The theory that “nature always nurture” sounds so true to me and it always rings a bell in my heart. The bus came to Baneshwor. As the newest member to the team, it was my duty to write a review about the outing . It was a tough job, tough in the sense that I have to express all those wonderful memories in a couple of paragraphs. Our outing started by watching a movie at FCube Cinemas. Though the movie was not much fascinating but with everyone’s company, every moment became enjoyable. First outing with my team, I was very excited. 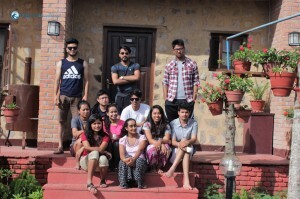 We were told to be taken at “green valley resort, shivapuri”. 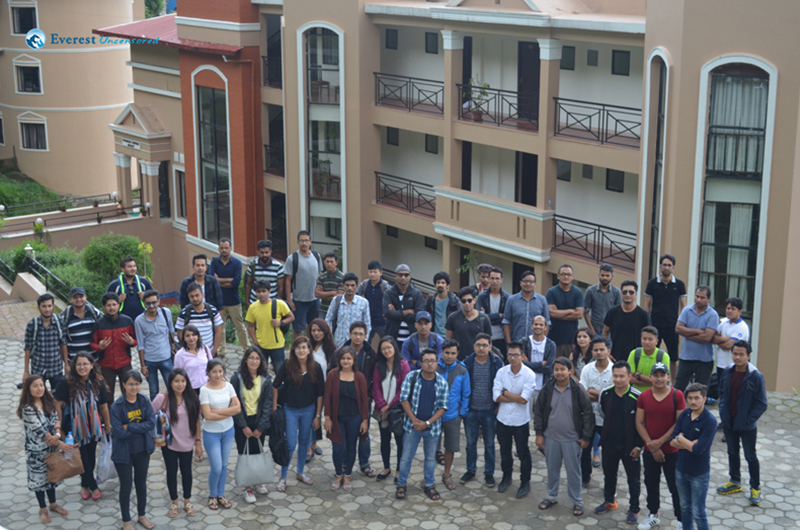 Everyone of us arrived at office at 1 pm and then begins our journey. We started singing songs, taking photos in bus. Slowly we headed towards mache gau….we everybody were wondering where were we going. 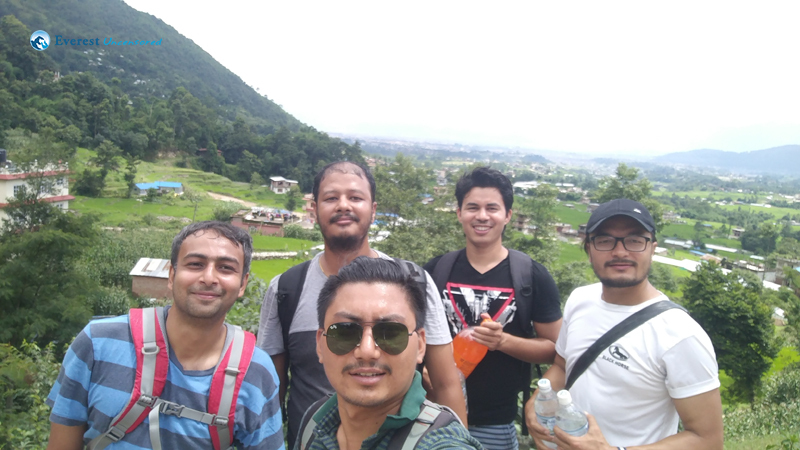 My very first outing since working in Deerwalk and excitement over crossed the limit as our destination was Shivapuri National Park. All of the QC colleagues from PA, CM and HP including myself gathered together and headed up to our destination around 1PM. After heading up towards our destination unfortunately on half of the way our vehicle couldn’t move forward as the road was too much slippery due to rain. 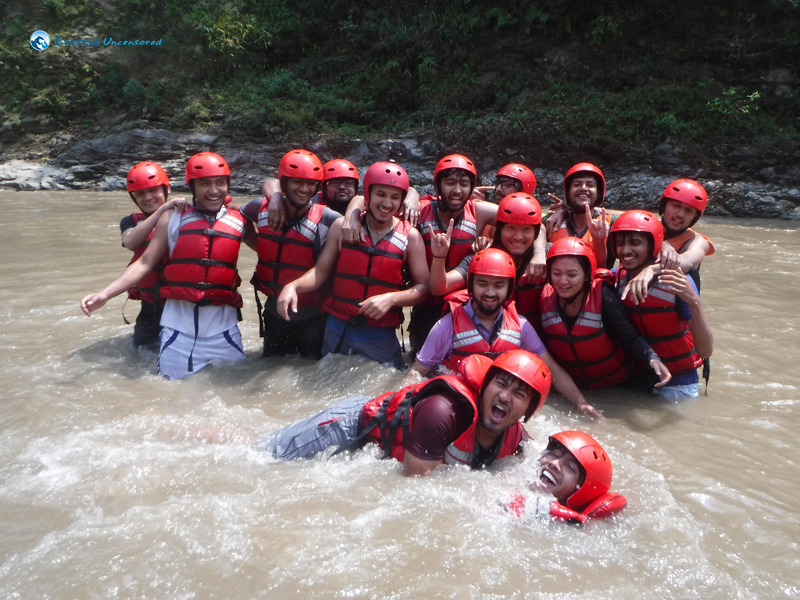 On May 7, 2017, Hiking Club organized a rafting event in Bhotekoshi. There were altogether 16 participants selected for the event. We started our journey from DWIT College at 6:30 AM. After two and a half hours of drive we reached our destination. We then crossed the Bhotekoshi River by a small raft to reach our resort. Upon reaching the resort we had a light breakfast and then had a game of beach volleyball.